Because not everyone's idea of a getaway is slogging through a waterslide line in the Dells, there are a number of hidden gems to abscond to for your next summer retreat. Seize the moment with a visit to one of these 10 underrated, no-plane-ticket-required vacation spots. Whether you’re seeking secluded lake time or just an excuse to revisit your childlike sense of wonder, these drivable destinations satisfy the desire for serious R&R. No one will be able to track you down in this tiny unincorporated community in southern Taney County, just 10 miles from Branson (you'll appreciate the distance from Yakov Smirnoff). 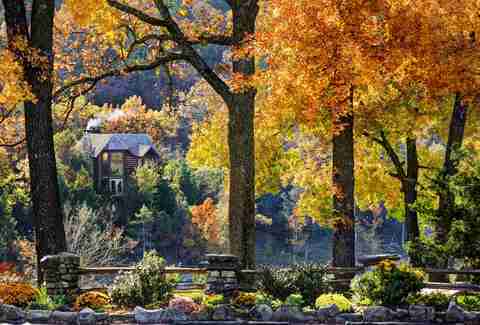 Go wild at the Big Cedar resort, BBQ on your own private wooden deck, catch a sunset over the lake, or get lost in the Ozarks with the property overlooking Table Rock Lake. 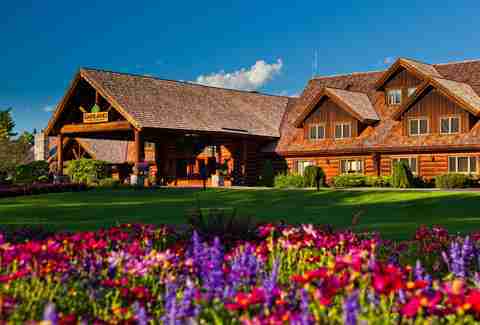 Trade in your tent and shack up instead in one of Big Cedar’s lodges, cottages, or cabins. West Michigan beach towns can be busier than the city during the late summer months. Head north to this undiscovered gem instead for excellent star gazing, small town vibes, and plenty of space. Stay at Garland Lodge Resort’s spacious villas for ultimate privacy. Spend the day working on your swing at one of the resort’s four golf courses then soak away sore muscles in your private Jacuzzi tub. 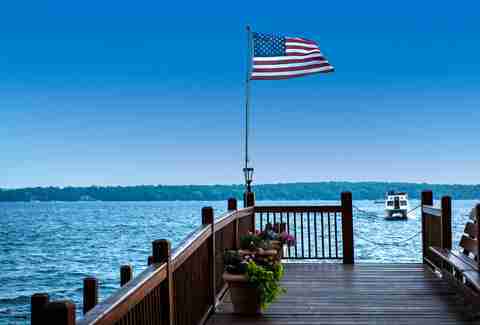 This sleepy Wisconsin village is king when it comes to fishing, canoeing, and long, lazy days on the lake. We suggest checking into Stout’s Island Lodge on Red Cedar Lake, in addition to its cool rustic-lodge-on-an-island vibe, the property provides plenty of old-fashioned ways to play (bocce ball, bonfires, lawn Jenga, croquet). If you’re looking to really unwind, on-island massages are available by appointment. Island dreams don’t have to involve long plane rides and passports. 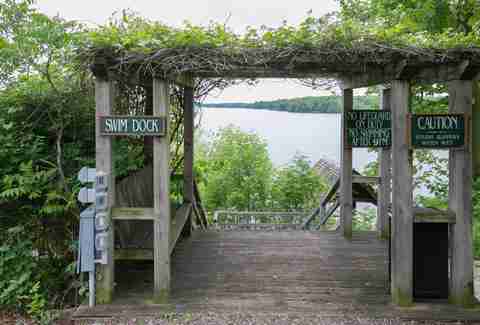 Cruise up to Ludlow’s Island Resort, a family-run island hideaway in northern Minnesota on Lake Vermilion. Hand-crafted cabins, all nestled under the birch and pine, are all different -- there’s a treehouse five-bedroom for group vacations and a romantic one-bedroom complete with wood-burning fireplace and screened in back porch. Rent a fishing or pontoon boat to take advantage of the 40,000 acres of shoreline. Camp fantasies come to life at Camp Wandawega, an art-directed dream of a retreat designed to get you in touch with the simpler pleasures of life. Canoe around in old-school vessels, hike around 20-plus acres of private property, or revisit camp classics like shuffleboard, hatchet throwing, and archery. At night, mingle around the s'mores pit and star gaze with your fellow campers. There’s also a tree swing, just sign the waiver first. 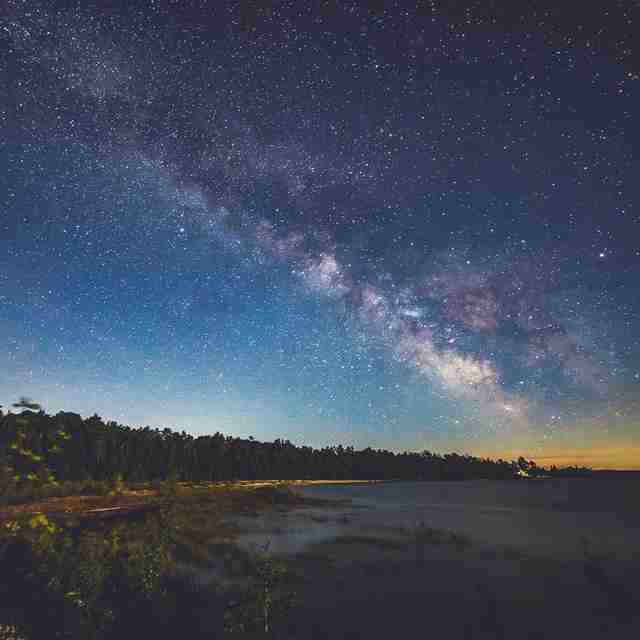 Head west from Mackinaw City and get lost in space at The Headlands, the ninth International Dark Sky parks in the world. Park yourself on pristine upper Lake Michigan shoreline for a clear view of the milky way, shooting stars, and night-time magic. There’s no camping at the actual park, but nearby Wilderness State Park allows tent, cabin, and RV camping. There’s also several mom and pop shops, bed and breakfasts, and hotel chains for late-night crashing. Don’t miss StarLight Trivia every Friday night, along with a slew of community events such as special celebration for the Perseid meteor shower on August 12th. 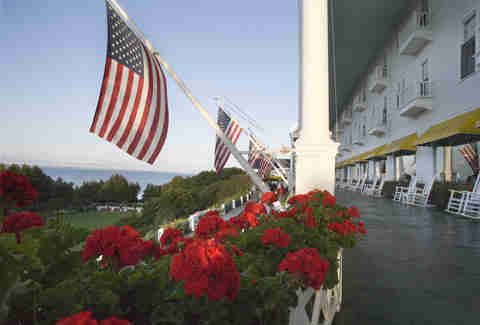 It doesn’t get more iconic than a stay at the Grand Hotel in Mackinaw Island, Michigan. Sink into a rocking chair on the resort’s porch (the longest in the world), indulge in a five-course dinner (included in room rate), and then bike it all off with a sunset ride around the island. Historic and reportedly haunted, each of the rooms in this stately summertime resort is completely original. Don’t miss competitive croquet on the lawn. If the Midwest conjures up images of flat farmland, get ready to get your perspective forever altered with a visit to Starved Rock State Park. Bliss out amid moss-covered canyons, picturesque waterfalls, and lush trails. 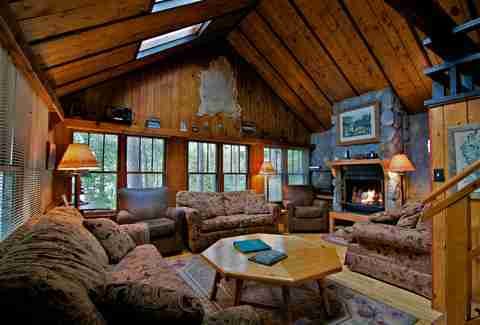 Come nighttime, hunker down in one of 21 cabins in the woods. The park is also home to coyotes, badgers, deer, and fox. If you’re looking to liven things up a bit, spend an afternoon cruising local wineries located nearby. This quaint fishing community is a water lover’s paradise. 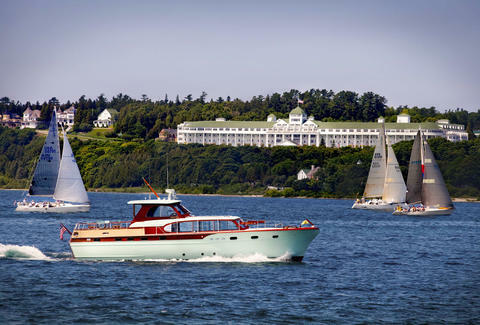 Swimming, sailing, canoeing, and waterskiing take center stage come summertime. Unwind at the Heidel House Resort and Spa, a year-round eco-friendly shoreside retreat. After a busy beach day, hit up the resort’s Evensong Spa. Here, you can relax in a eucalyptus steam room, indulge in an therapeutic massage, or walk the indoor labyrinth. Andrea Kasprzak is a freelance writer who has relocated so many times she's turned the getaway into a way of life. Follow her adventures at @andrearenee29.